April is just around the corner, and with that comes Easter (which is happening very late this year) and the school holidays. Also arriving, along with the colder "perfect for bingeing" weather, is a whole bunch of new stuff from Stan. So let's not waste any more time and see what April has in offer for us. Kicking off with the Easter theme is the acclaimed miniseries 'The Bible', coming to Stan on April 19. From reality TV guru Mark Burnett ('Survivor', 'The Apprentice', 'The Voice' ...), this 10 episode miniseries makes the perfect viewing for this Easter, for those religiously inclined (or maybe just curious). April is definitely the month for miniseries though, as we have not one, not two but three Australian miniseries being added, including 'Peter Allen: Not the Boy Next Door' (April 2), the chilling 'Catching Milat' (April 18) and 'Never Tear Us Apart: The Untold Story of INXS' (April 18). A couple of returning shows in the form of the funny 'The Last O.G. 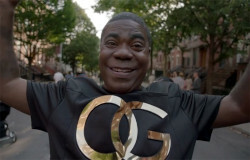 ', from the comedy mind of Jordan Peele and starring the always funny Tracy Morgan, Tray returns for more adventures. New episodes for the second season premiere on April 13. 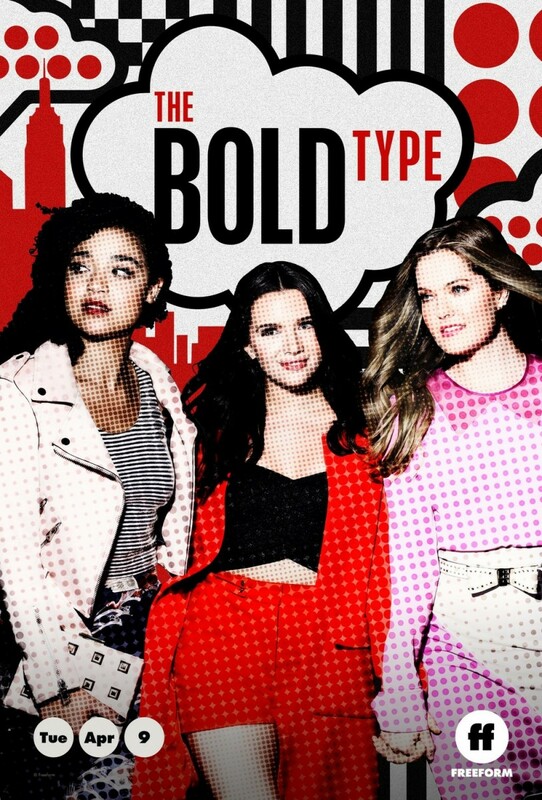 'The Bold Type' is also returning, for a third season, with new episodes arriving weekly starting April 10. I know it's only two short-lived seasons, but the "complete series" of 'Stargate Universe' is well worth a watch. While it was ultimately the last 'Stargate' series, it was the franchise's attempt to inject a bit of realism "Battlestar Galactica" style. It ultimately failed because of poor ratings, but it was by no means a bad show. Check it out for yourself on April 12. And to keep the little ones entertained during the school holidays, Stan has a bunch of age-appropriate content in the form of 'The Wiggles', 'Bob the Builder', 'Ben 10', and more, all being added in April. The trailer for 'The Death of Stalin' (see below) had me hooked, and I've been itching to watch the film ever since. Apparently, the actual film is a lot darker than the comedy farce suggested by the trailer, and it plays a bit fast and loose with history (the trailer made that pretty clear, to be honest), but it's still a great film with a star-studded cast. Stream it starting April 1. The 1987 original was a great little film, so the 2018 remake of 'Overboard' was bound to be disappointing in comparison. Still, those in need of something light and something recent should check it out on April 17. Or better, just check out the original, which is on Stan. 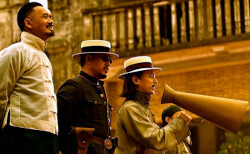 'Let The Bullets Fly' is the second most successful Chinese film when it was released in 2012, and for good reason. The dark comedy, with a (un)healthy dose of violence, stars HK action legend Chow Yun-fat ('Crouching Tiger, Hidden Dragon') and Jiang Wen ('Rogue One: A Star Wars Story' - who also directs the film), and joins Stan on April 16. A trio of great documentaries is also joining Stan in April. 'Tasmania - Weird and Wonderful' (also known as 'David Attenborough's Tasmania') starts streaming on April 25 and it's your typical fantastic nature documentary, but this time, it looks at our own backyard. And I bet I didn't know my own backyard as well as I thought I did. 'The Meaning of Vanlife' premieres on April 26 and the documentary feature focuses on the ever-growing Vanlife community, people who choose to live a nomadic lifestyle, travelling the country in vans. It's not the first time documentarian Louis Theroux has interviewed Jimmy Savile, but with hindsight about Savile's years of sexual abuse, Theroux chooses to take a look again in 'Louis Theroux: Savile' (April 1). It's uncomfortable viewing, but an essential one, perhaps. So a great lineup for April from Stan. Can't wait! Here's a list of everything that's coming to Stan in April. Content highlighted above shown in bold below.